McGeough’s artisan produce can be found in many of our best restaurants, but we think you should try them at home. In particular we liked the combination of smoked lamb sausages with lentils and caramelised onions. A little warming taste of Connemara. Rinse the lentils in a sieve under cold running water, then place in a pan with 600ml of water. Add a pinch of salt, bring to the boil, then reduce the heat and simmer for 15-20 minutes or until ‘al dente’- just tender but still with a little bite. Drain in a sieve and spread out on a tray to dry if not using immediately. To make the caramelised onions, melt the butter in a frying pan and cook them very slowly until golden brown and caramelised. Season to taste. Heat a frying pan over a medium heat. Add one tablespoon of the rapeseed oil to the pan, then add the sausages and sauté over a medium heat for about 10 minutes until cooked through and nicely browned, turning regularly. Meanwhile, heat the remaining oil in a pan and sweat the leek, carrots and celery for about 10 minutes until softened but not coloured. Stir the smoked paprika, cumin and cinnamon and cook for another minute or so. Fold in the cooked lentils and then pour in the chicken stock. Season to taste and simmer for a few minutes until you have a loose sauce and the vegetables are completely tender. Finally stir in the parsley. Spoon the spiced lentil stew onto a large warmed platter and spoon a line of crème fraiche down the centre. Arrange the lamb sausages on top and scatter over the caramelised onions. Garnish with the parsley and a good grinding of black pepper. Following the release of our 4th issue of FEAST: A Dinner Journal, our 2nd print edition, we are taking a look at some of the Irish food champions who have filled the pages of our latest issue. Many people view the artisan business world as somewhat old fashioned. The love of ancient techniques and the deep respect for the craft of their work has sometimes cast them in the role of neo-luddites but this is far from being the case. Their respect for the past is woven into a view that innovation is as important an ingredient in artisan food as a respect for progress. 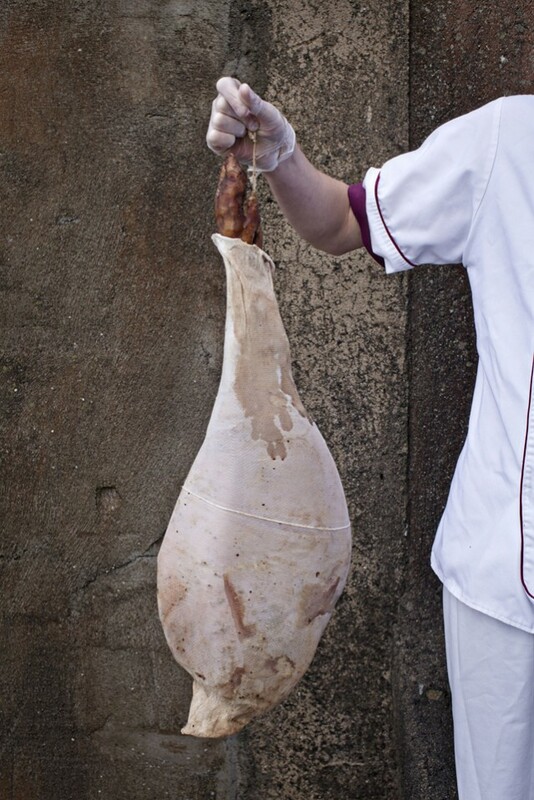 We just sometimes ask the question if the progress is for progress’s sake.McGeough’s Artisan Butcher in Oughterard, Co Galway is every inch, or is that centimeter, the essence of tradition married to innovation. Although they are famed as a butchers they also stock a wide range of other dairy produce, oils, chutneys and wine too. They first came to our attention with their air-dried lamb and a first taste makes you wonder why it isn’t a staple on dinner tables across Ireland. They do a beef version too, equally good, though perhaps made previously famous by our distant cousins in South Africa. And what about some air-dried pork? Yes, they do that too. We then discovered the many other innovations they’ve cooked up and we developed a particular grá for their smoked lamb sausages. The sausage is mildly smoked, giving a quiet smoky note to the sweet lamb sausage. 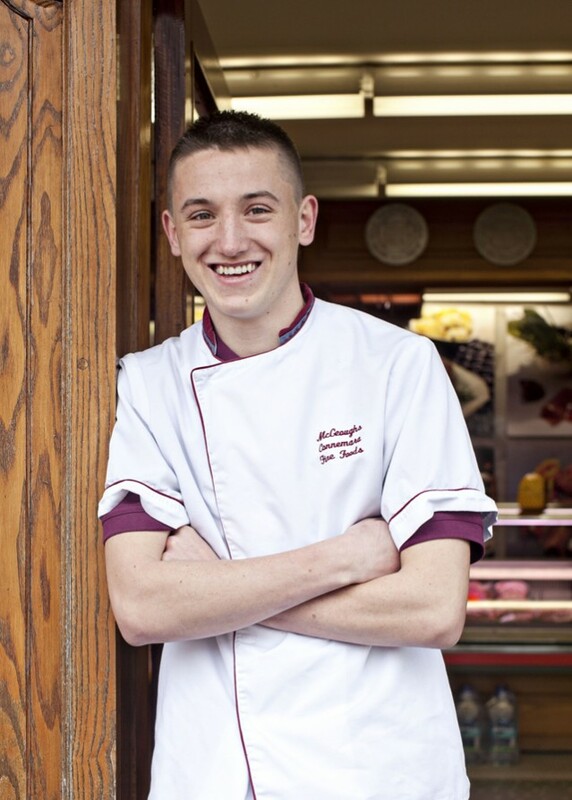 McGeough’s was founded by Eamonn McGeough in 1971 and is now run by his son James McGeough and his skill as a German trained master butcher has greatly added to their already significant reputation. 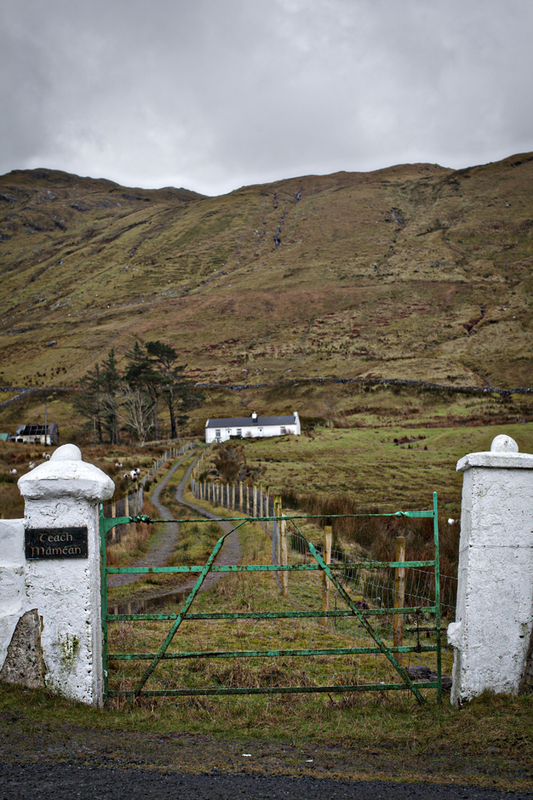 They use only the highest quality meat, including Connemara Hill Lamb, which is unique to the area. 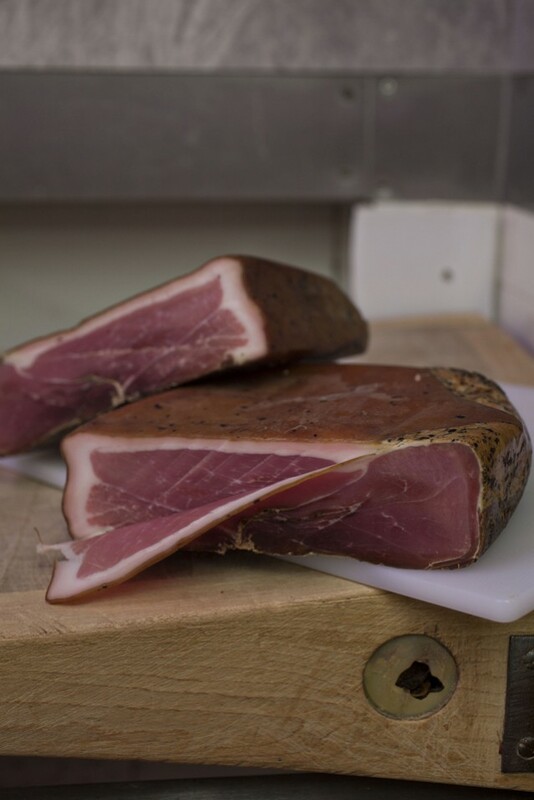 The meat is cured and spiced using local herbs, and dried in specially built temperature controlled drying rooms, some of it for many months. The smoking process is shorter, just one day, and although you may distinguish oak and beech notes in the final product perhaps it’s the unique turf notes which makes this distinctly Irish. 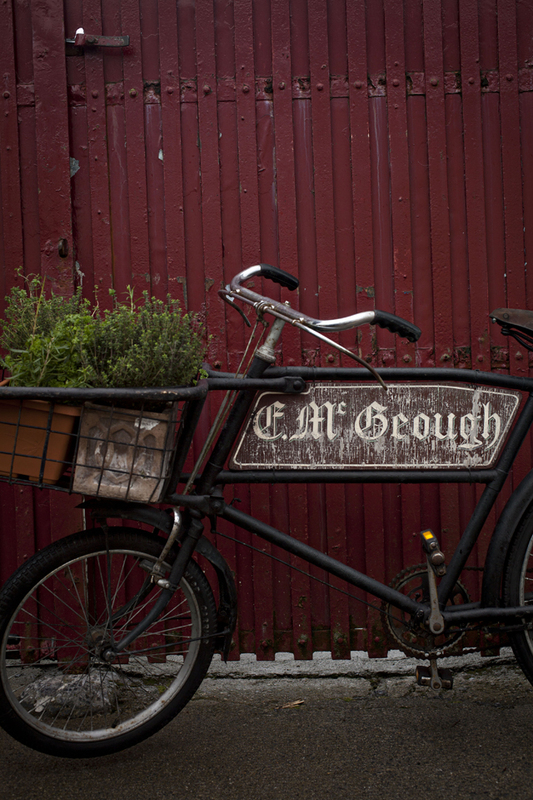 McGeough’s artisan produce can be found in many of our best restaurants, but we think you should try them at home. 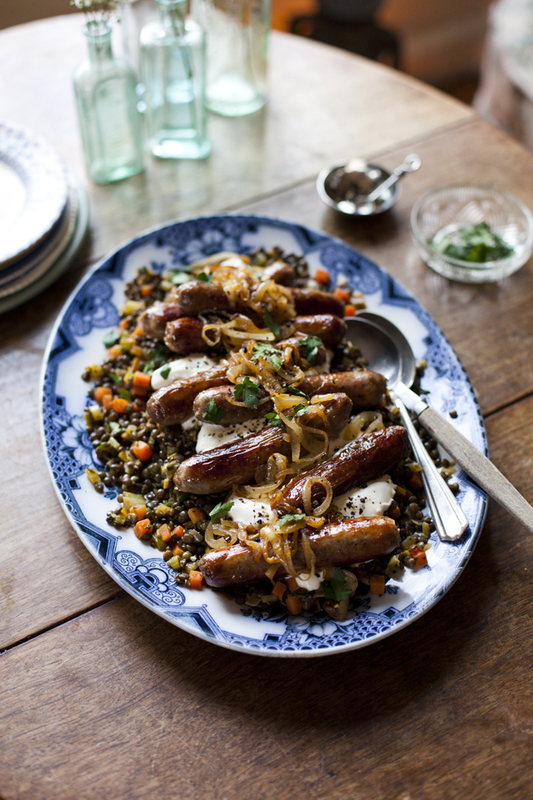 In particular we liked the combination of smoked lamb sausages with lentils and caramelised onions. A little warming taste of Connemara as the winter months trudge towards spring. 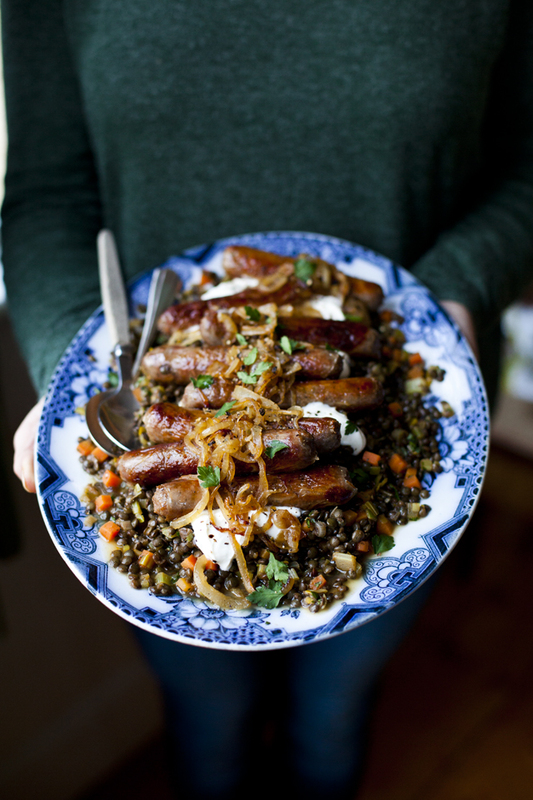 For the Spring issue of FEAST: A Dinner Journal, we used some of Mc Geough’s amazing lamb sausages in our Sausages with Spiced Lentils and Caramelised Onions recipe. Warm and comforting yet a lighter take on a dish like Bangers and Mash. Recipe coming soon! 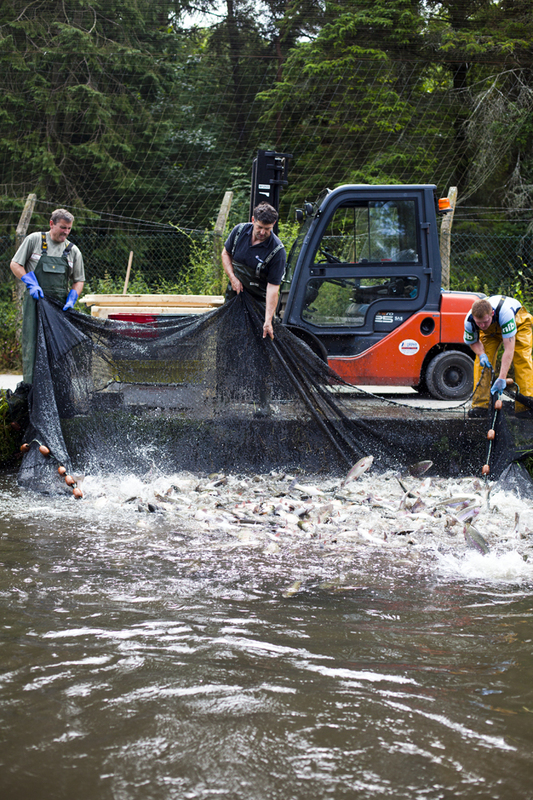 The fresh, clear waters of the Little Arrigle River feed the rainbow trout breeding ponds of Goatsbridge Trout Farm in Thomastown, County Kilkenny. Established in 1961 it is now run by the second generation of the same family, namely Jer and Mags Kirwan. They are tireless protectors of the countryside and clear rivers of the South-East. 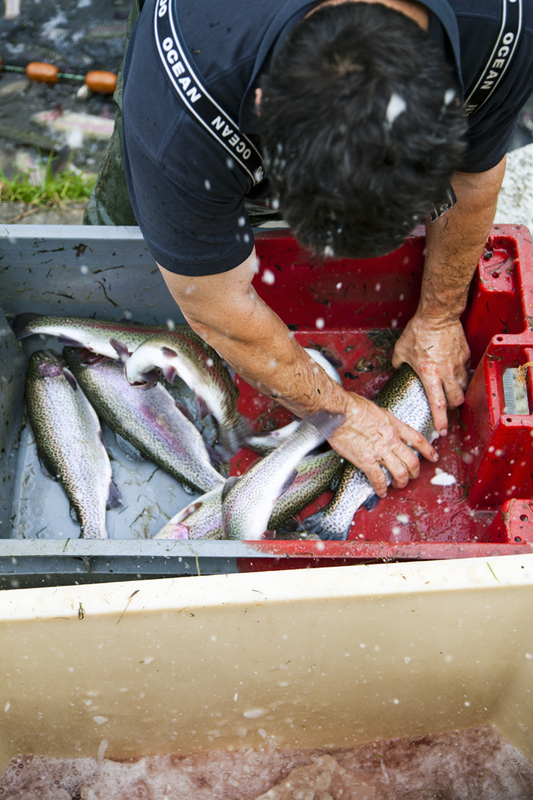 Their farm is one of only a few trout farms producing wholly local fish from start to finish. The cool rivers have a long history of trout farming stretching back to the twelfth century when the monks of Jerpoint Abbey were fishing here too. Today, much of the practices of the Kirwans mirror the gentler intervention in the life cycle of the fish which the monks might well recognise. 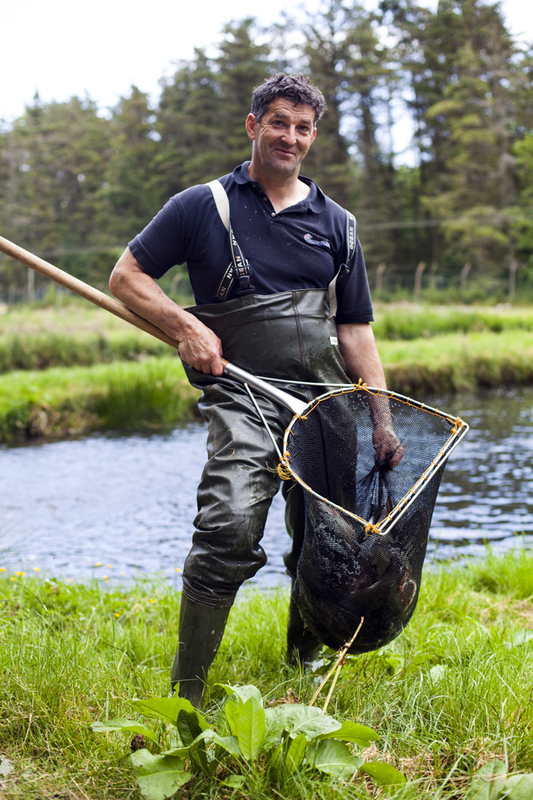 The trout spend most of their time in earthen ponds and as Jer and Mags are exacting in the implementation of their eco-credentials, sustainability remains a core concern for them. They even re-stock the waters of some of Ireland’s most esteemed locations including Mount Juliet. 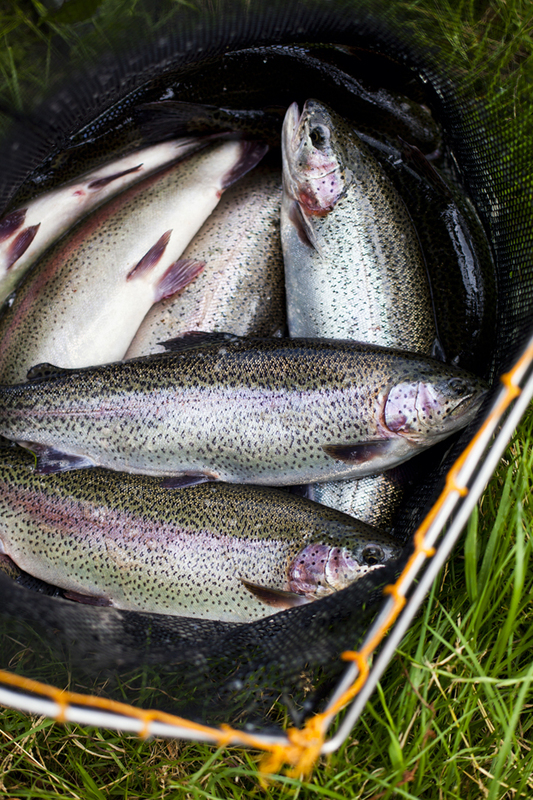 The Kirwans manage the entire life-cycle and production of the trout including the harvesting and processing right through to filleting and pin-boning. When you visit the farm, and people are encouraged to visit, you’ll find a family who live and breath the ethos of their farm. You’re as likely to be invited to join them for lunch as you are to get a knowledgeable tour. There’s just one problem, we struggled to decide which product we liked most, from delicately smoked trout to lightly cooked fillets and the magical trout caviar, it is a happy problem to have, in the end we went for the trout fillets for our final FEAST. Recipe coming soon!